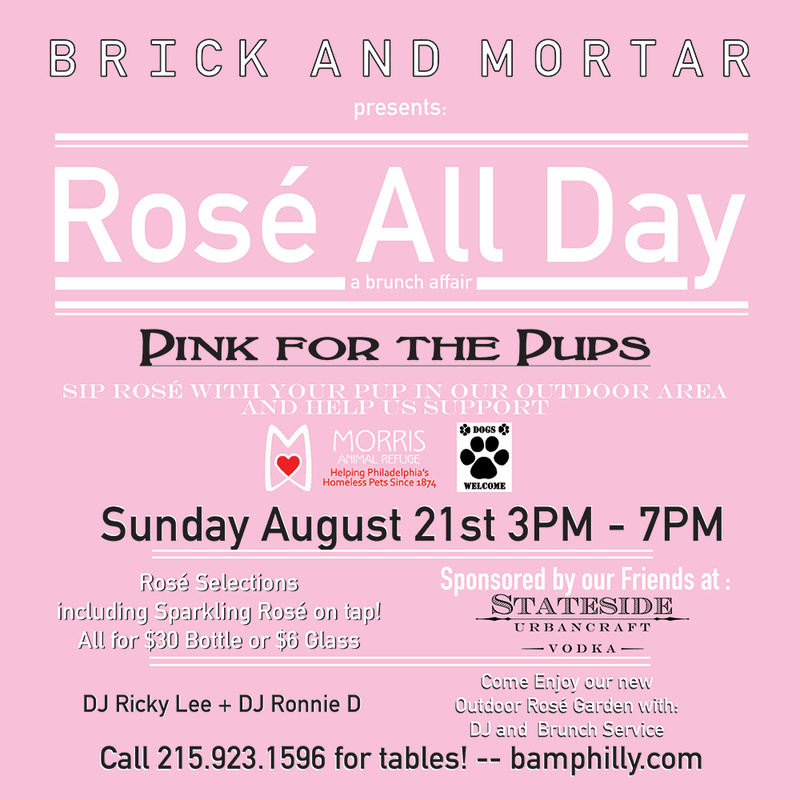 Rosé All Day and The Summer of Brosé squad returns to Brick and Mortar on August 21st and we’re doing it for the Pups! Bring your four legged friend along to enjoy our outdoor Rosé Garden and sip some pink for a cause. A portion of the day’s proceeds will go to benefit the Morris Animal Refuge. DJ Ricky Lee + DJ Ronnie D getting the party rolling once again and our friends from Summer of Brosé our joining us again this month. Be sure to sign up for Summer of Brosé Updates with the BAM Staff to receive a Summer of Brosé wristband that will get you $6 Sparkling Rosé on tap for all of September at BAM Philly.